Is it worth being Cyber Essentials Plus accredited? Short answer: Yes! We all know the importance of Cyber Essentials, and if not, you really need to get up to speed (www.ogl.co.uk/a-guide-to-cyber-essentials). Achieving a Cyber Essentials accreditation is a great framework to address the basics of cyber security, but is it really enough? Once achieved, you certainly need to be thinking about the next level of your cyber security strategy and the Government-backed Cyber Essentials Plus accreditation offers businesses the opportunity to do this. Industry experts, including the National Cyber Security Centre (an independent organisation), all agree that the benefits of upgrading to Cyber Essentials Plus are too good to ignore. What’s the difference between Cyber Essentials and Cyber Essentials Plus? Whether you’re striving for your Cyber Essentials or your Cyber Essentials Plus accreditation, it’s all about how your business is adhering to a set of requirements that an independent, government-backed, certified body deems appropriate. In essence, the same list of requirements is needed for both accreditations; however, the real difference lies in how you are assessed on these requirements. Cyber Essentials is a self-assessment on how you are adhering to cyber security procedures. Cyber Essentials Plus is more in-depth and involves an independent external certified body examining your cyber security. This can be done via simulated phishing attacks and basic hacking procedures to confirm that you are adhering to the set of security requirements needed. To complete the assessment, you will also need to pass a final technical audit. In theory, if you’ve passed your Cyber Essentials accreditation and are adhering to all the agreed requirements, then there’s no reason why you shouldn’t pass your Cyber Essentials Plus accreditation. It may sound like there is a lot more effort required to achieve a Cyber Essentials Plus certification (and there is), but the benefits are huge. There are many reasons why you should want to upgrade to Cyber Essentials Plus, and this can depend on your business’s motivations. A key reason for the upgraded certification is so that you, as a business, are highlighting the fact that you take security and data protection seriously. With cyber-attacks constantly in the news, having a strong stance on cyber security is a much-needed virtue in today’s modern business world. A recent nationwide survey undertaken by CyberGuard Technologies found that 81% of businesses wanted to reassure their customers that they were taking a proactive approach to cyber security, and this was the reason why they invested in this certification. This has a direct impact on another important factor to consider which is whether or not to upgrade your certification. If you’re demonstrating that security and data protection is taken seriously within your organisation then this puts your company in an advantageous position when bidding for new contracts, suppliers or tenders. The same survey highlighted that 84% of businesses found that having this accreditation made it easier for them to win contracts. Imagine one of your prospects has gone to tender and security is a key factor for them. If your competitor has Cyber Essentials and you are Cyber Essentials Plus accredited, who would you choose? Another significant reason to upgrade is for peace of mind that you are demonstrating the highest cyber security standards internally. Cyber Essentials Plus encompasses a far greater number of cyber assessments, thereby providing you with a better understanding of your own organisation’s levels of cyber risk. 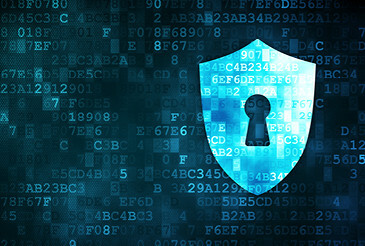 Your business is only as secure as your internal security policies. It’s very easy to complete a self-assessment form stating you’re adhering to cyber security protocols, but actually having your protocols tested by an external body can give you peace of mind that you’ve taken the extra steps needed to be cyber-secure. And finally, Cyber Essentials Plus may not be a desire for your business, but a necessity. Businesses within certain industries (Health, Telecoms etc.) are now required to obtain Cyber Essentials Plus certification. Whilst Cyber Essentials allows organisations to work with the Government, a Cyber Essentials Plus accreditation can open your business to new markets such as the opportunity to work with the MOD. It may seem hard to achieve but we’re on hand to guide and offer advice on how to pass Cyber Essentials Plus first time. As independent assessors who offer Cyber Essentials Plus, we have experience of working with a wide variety of organisations, going through the same process on a daily basis. As with anything in life, you get out what you put in, and nothing could be truer with Cyber Essentials Plus. The more preparation you put in, the more likely you are to pass. On average, it takes seven days to achieve and if you do fail, you must start right back at the beginning. Time and time again, we see businesses take time out to prepare for the assessment and pass first time. However, we’ve also seen overconfident and ill-prepared organisations who ultimately fail, which wastes company time and money. To summarise in one word the key to passing Cyber Essentials Plus: Preparation. With organisations keen to adhere to cyber security regulations, there is no better time to upgrade your Cyber Essentials accreditation to a Cyber Essentials Plus certification. CyberGuard Technologies - a division of OGL Computer, a company that’s been in business for over 40 years and understands the industry - can offer help and guidance on the best practices of being cyber-secure. Our cyber team can guide your business through the steps to accreditation with minimal fuss, whether that’s upgrading from Cyber Essentials or our whole package which includes Cyber Essentials and Cyber Essentials Plus certification. We’ll assist you through the whole process and will be on hand to help you with any questions you may have. Once you’ve passed the Cyber Essentials Plus accreditation, you’ll be able to display the Cyber Essentials Plus logo on your website and marketing literature to demonstrate to your customers, suppliers, investors and stakeholders that your organisation is taking the advanced steps to protect your business from cyber threats and that you take cyber security seriously. If you would like to talk to one of our Security Consultants, contact us here and we’ll be happy to give you a call.